In 2000 and 2001, Doral Financial of Puerto Rico entered into a repurchase agreement with Lehman Brothers. This meant Doral Financial could “sell” a variety of securities to Lehman in exchange for cash. Doral promised to buy back those securities at a set point in the future, for slightly more than the cash it had received from Lehman. Doral eventually ended up selling several hundred million dollars worth of securities to Lehman, which has seen significant financial stress since their ‘08 bankruptcy. What has happened since is that those securities rose in value and Doral Financial attempted to repurchase them at their set price and keep the profit. Court appointed trustee James Giddens rejected. As it happens, in this case the appeals court noted that Doral had signed a contract saying that it was transferring full title to Lehman. Unfortunately, Doral sold whatever claims it had against the Lehman estate to distressed debt investors. They are now arguing that as a customer the sale of the securities to Lehman was bogus, and that all the economic risk of the securities remains with them. If Doral was seen as a customer, their investors would receive preferred treatment over other unsecured creditors in the SIPA liquidation proceedings. It was recently decided at the U.S. appeals court that the banks that enter repo agreements with brokerages do not qualify as “customers” entitled to special legal protections when those same brokerages fail. Investors are trying to claim damages for Lehman’s breach of contract in failing to sell the securities back. The amount of those damages would be the difference between the current market value of the securities and the set buyback price. Giddens has helped secure more than $100 billion to compensate around 111,000 former Lehman brokerage customers. 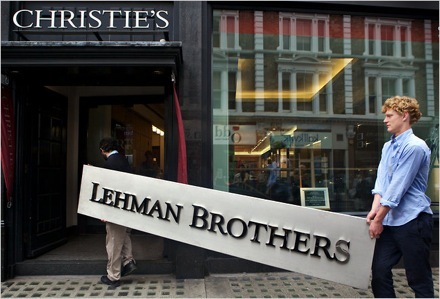 The Lehman’s case continues to unfold with more clients and investors looking to recoup some of what they have lost. Our Los Angeles Bankruptcy Attorneys analyze each factor of your debt and customize your filing to achieve the best possible result for you! Fill out our free from for a consultation.